Want to work in Ruby? Consider switching to Linux. After all, the Ruby ecosystem grew up on Unix and Linux operating systems like Mac OS X or Ubuntu. For this reason, Ruby native packages and build tools are often Linux-first and may perform poorly or break when run under Windows. Envato Tuts+ instructor José Mota explains more about this in his recent Coffee Break Course, Why Use Linux for Ruby Development? 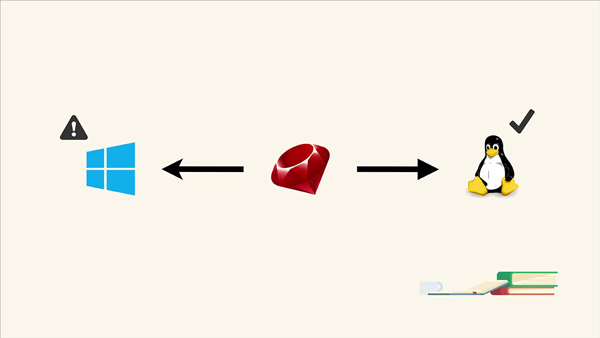 He explains some of the advantages of using the Linux operating system over Windows for Ruby development. You'll learn how the Ruby tooling and ecosystem is optimized for the Linux environment, and you'll get some pointers for transitioning into a Linux environment. You'll learn all of this in a quick, ten-minute video course. Watch the introduction below to find out more.